Wednesday was one of those very special days. 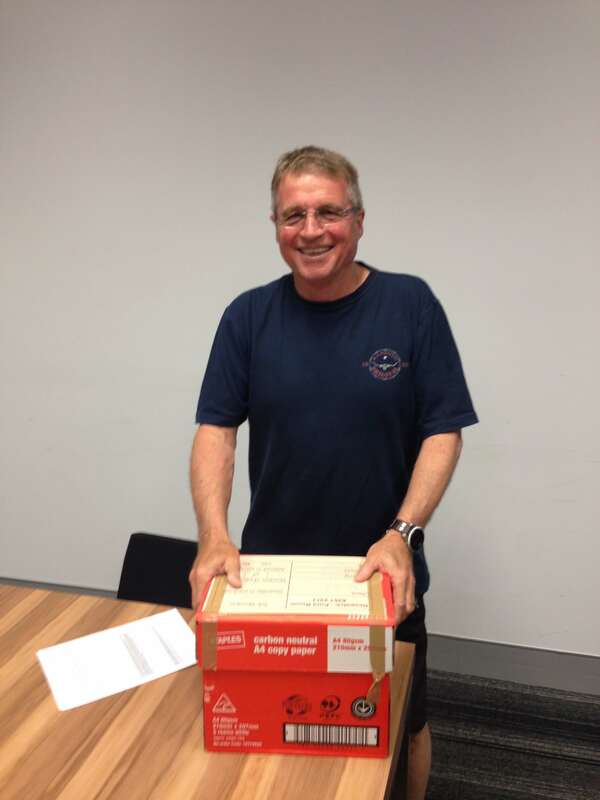 One of my PhD students, Ron Smith, completed the formal paperwork for his PhD at the University of Canberra. 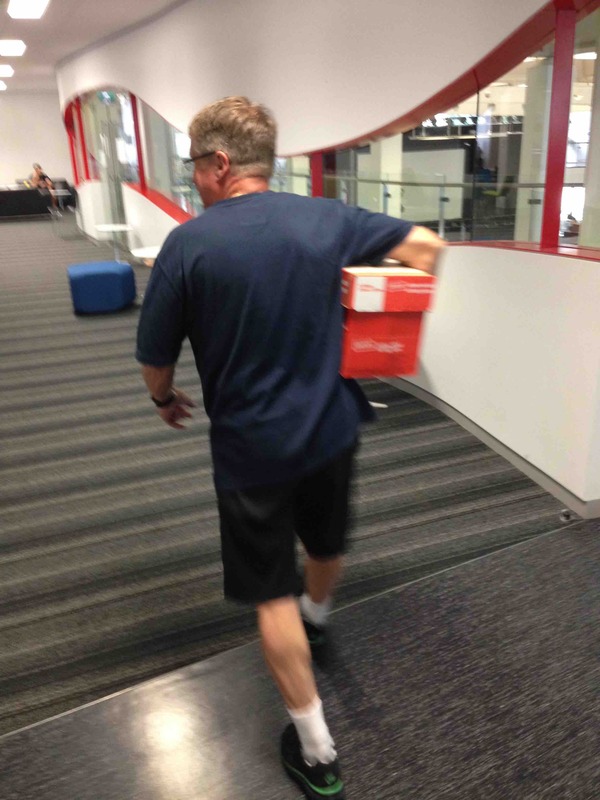 He is submitting his thesis at 1.30pm on Friday. Ron has just celebrated forty years as an association football coach. During that time he has had many roles in professional football in Australia and Malaysia. I persuaded Ron to register for his PhD to connect his world of coaching expertise with the academic debate about performance in association football. I think his enrollment is a great example of an alternative entry pathway. The title of his thesis is An Investigation into Goal Scoring Patterns in Association Football. I am delighted that Ron will be submitting his thesis for examination. Many years ago (1986), Howard Becker wrote about “getting the thesis out of the door”. I thought I might send Howard this picture of the culmination of four years work. The Asian Cup 2015 concluded yesterday evening in Sydney. The Final was the thirty-second game of the Tournament. 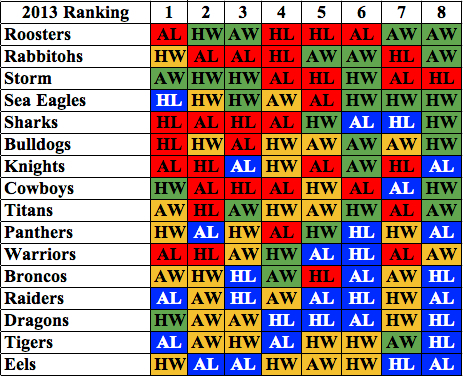 I looked at the performance of teams in these 32 games in relation to their Elo Ratings. 22 higher rated teams scored first and won their games. Of these eight games, DPR Korea (v Saudi Arabia), Uzbekistan (v China) and Iran (v Iraq) scored first and lost. Iran lost to Iraq in a penalty shoot out. 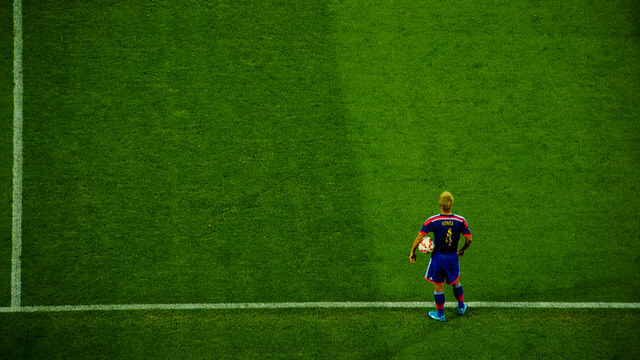 UAE defeated Japan in a penalty shoot out. 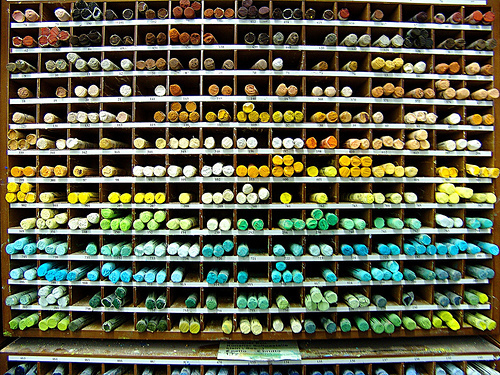 The data I used for this post can be found here. 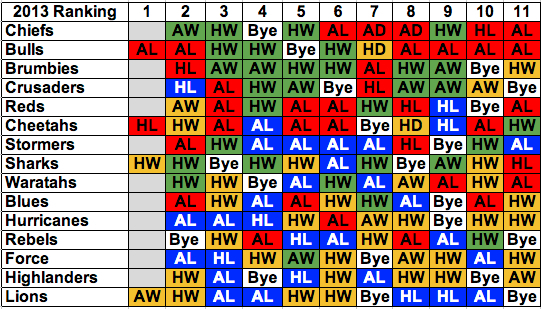 The 2014 AFL, NRL and SRU football competitions are at different stages in their competition cycle. I have been monitoring teams’ progress in each competition against previous year’s ranking. 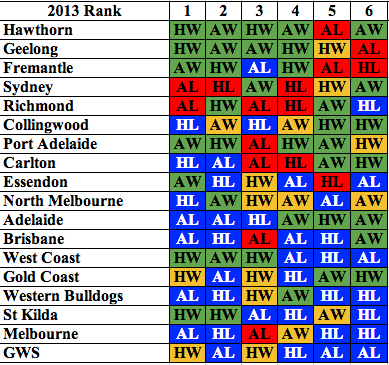 Geelong and Fremantle were the two teams to play below their 2013 ranking in this Round. 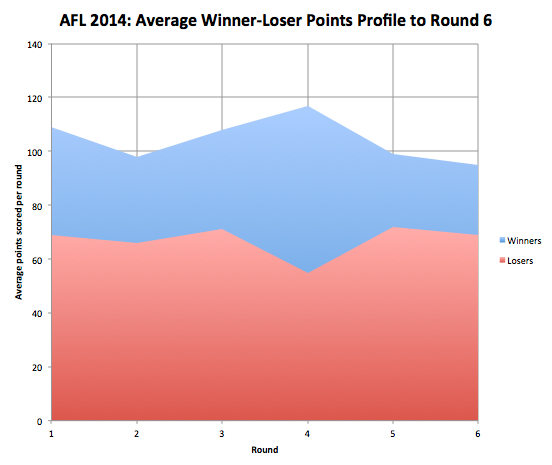 They were defeated by Port Adelaide and North Melbourne respectively. Fremantle were defeated at home. Carlton overcame the largest end of third quarter deficit this season, 14 points, to defeat West Coast. North Melbourne were able to overcome a 3 point end of third quarter deficit to defeat Fremantle. After a turbulent start to the season, there was some stability around performance against 2013 Ranking. The Storm were the only higher ranked team to lose in this Round. They were defeated by the Warriors at home. After a relatively stable season of performance against 2013 Ranking, week 11 of the Super Rugby competition was very volatile. Only the Cheetahs performed to their ranking in their defeat of the Stormers. It was the Cheetahs first win since Round 2. The performance of the Round was the Highlanders’ defeat of the Sharks in Durban. My record of winning and losing uses a basic notation. My aim is to have a visual scan of performance. Week 11 of SRU makes for interesting viewing in this context. I hope that my notation gives a sense of trend against which to compare any performance. This week, Fremantle, the Storm and the Sharks all lost at home to lower ranked teams. Such defeats tend to make supporters nervous. Carlton’s comeback at home against West Coast gave their supporters a significant boost after early season defeats.